DANM Professors Noah Wardrip-Fruin and Michael Mateas authored the final report of the Media Systems project, held at University of California, Santa Cruz in 2012. This gathering brought together field-leading participants from media-focused computer science, digital art, and digital humanities — located in and across universities, industry, federal agencies, publishers, and other stakeholders in the future of media. The Media Systems project identifies key opportunities, challenges, and recommendations for the future of creating and understanding media — a future in which computation will play an increasingly important role. 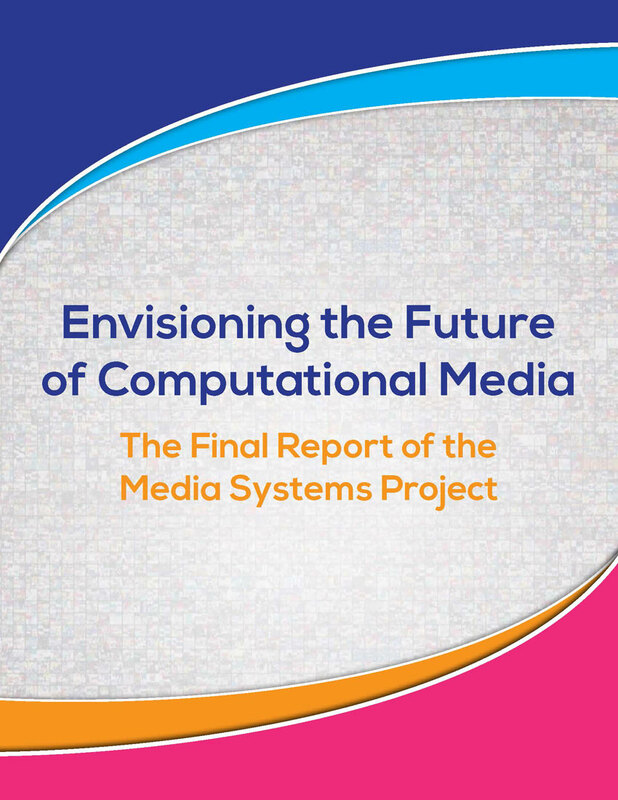 Now the final report is available for download — including a set of 12 key recommendations for building the future of computational media. "This report is the result of bringing more than 40 field leaders together for a meeting made possible by an unprecedented set of organizations: the U.S. National Science Foundation, U.S. National Endowment for the Humanities, U.S. National Endowment for the Arts, Microsoft Studios, and Microsoft Research. We followed the meeting with more than a year of additional analysis, conversation, and writing. “Envisioning the Future of Computational Media,” starts with the fact that the future of media is increasingly computational — video games, smartphone apps, ebooks, social media, and more. As media evolve and change, the stakes are high, on many fronts — from culture and the economy to education and health. To create media capable of continuing the expansion of computational media’s impact, we need to combine technical research that develops media possibilities with innovations in the creation and interpretation of media projects and forms. Instead, today, we generally separate these activities. Technology research organizations generally don’t have disciplinary, funding, or organizational support for making media. Media making organizations generally lack support for long-term technology research. The report is focused on recommendations for how to fix this in hopes that it will provide one part of the foundation for a set of new approaches to computational media — from industry, higher education, government and non-profit funders, professional organizations, and more." If you wish to discuss the ideas in the report further, please contact Noah Wardrip-Fruin nwardrip@ucsc.eduor take to Twitter with the #MediaSystems hashtag.